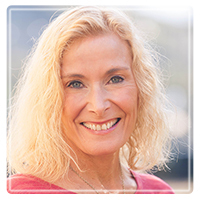 San Clemente Therapist: Vicki Asher Wills - Therapist 92672. Dr. Asher-Wills approach is collaborative. She works with clients to help them understand how and why they feel stuck and assists them in learning new skills and techniques to build better lives and relationships. Dr. Vicki Asher-Wills has been assisting clients for over 22 years as a private practice clinician in Southern California. Her extensive experience with individuals, couples, and families has enabled her clients to quickly identify obstacles to productive living and relating and to develop the skills to overcome them. Following her Masters Degree in Clinical Social Work training at the University of Utah in Salt Lake City Utah, she worked with families derailed by child abuse and neglect issues. Her job as an Aftercare Family Therapist at Childhelp USA helped underprivileged families to reunite and become safe environments for many. Dr. Asher-Wills went on to open private practices in Long Beach, Garden Grove, Costa Mesa, and now San Clemente, where she works with Individuals, Couples, and Families. She has gone on to complete her Psychology Doctorate in Clinical Psychology and remains active in private practice in San Clemente.